Assembled by David Schilter and Sanita Muižniece with the help of guest editor Marcos Farrajota of Portuguese collective Chili Com Carne, the 20th issue of Latvian anthology š! 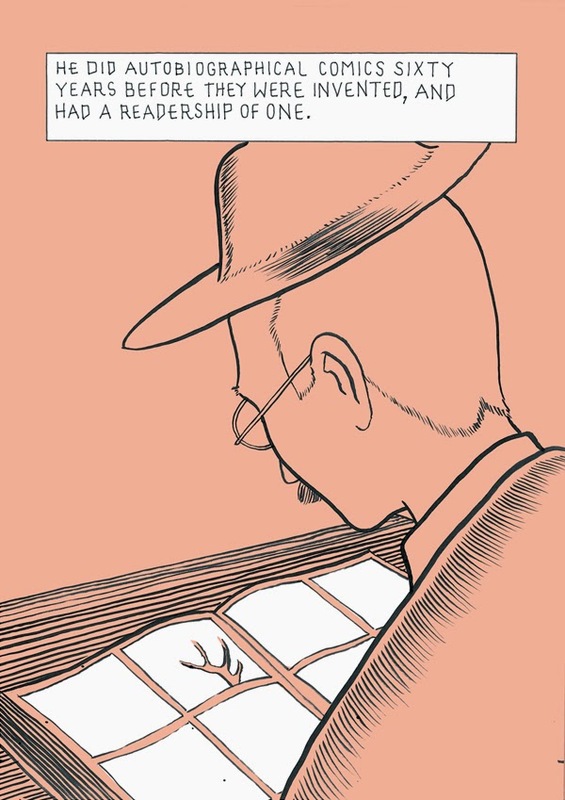 collects comics about disquiet, a theme taken after the Livro do Desassossego by Fernando Pessoa. 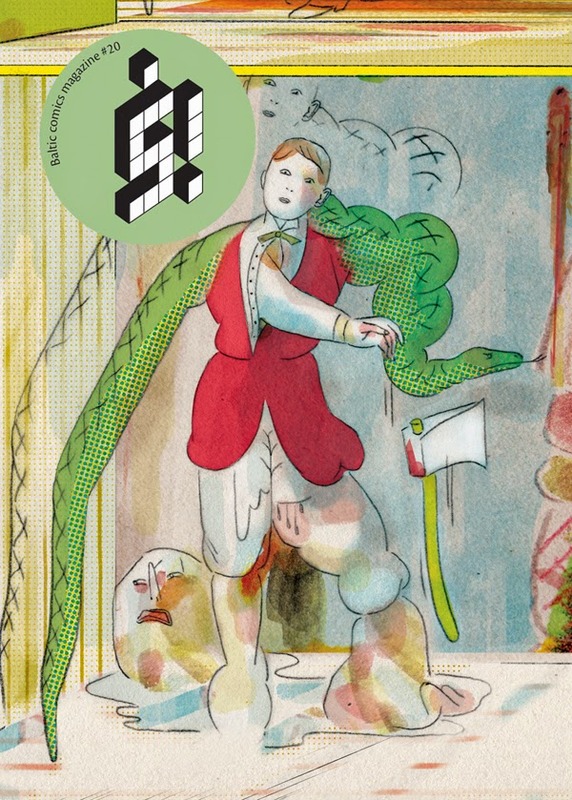 It’s interesting how every issue of š! can remember us what comics are all about and what people can do with comics, showing several possible approaches to this medium. Here we’ve artists like Amanda Baeza, Filipe Abranches and Paulo Monteiro working on a fixed grid of panels, others like Rafael Gouveia and Daniel Lima who adapt literary works by Bernardo Soares and Paul Ableman, while Cátia Serrão and João Fazenda play with space, form and color and Bruno Borges creates a plot starting from doodles. The panel is not the rule in š! and so it’s absolutely usual over here to see comics made of full-page illustrations or even of photographs, like the ones by Tiago Casanova and Joana Estrela. The six-page contribution from twenty-five years old Estrela is one of the best in the anthology, brilliantly combining pictures from a fifties-style movie with a text that pinpoints the disquietness of today’s young cartoonists. She is one of the younger artists in the book, while the oldest one is Tiago Manuel, author of a series of stunning narrative illustrations recalling old medicine books. He’s also a typical Portuguese character, probably overpassing the same Pessoa with his 25 heteronyms projects. 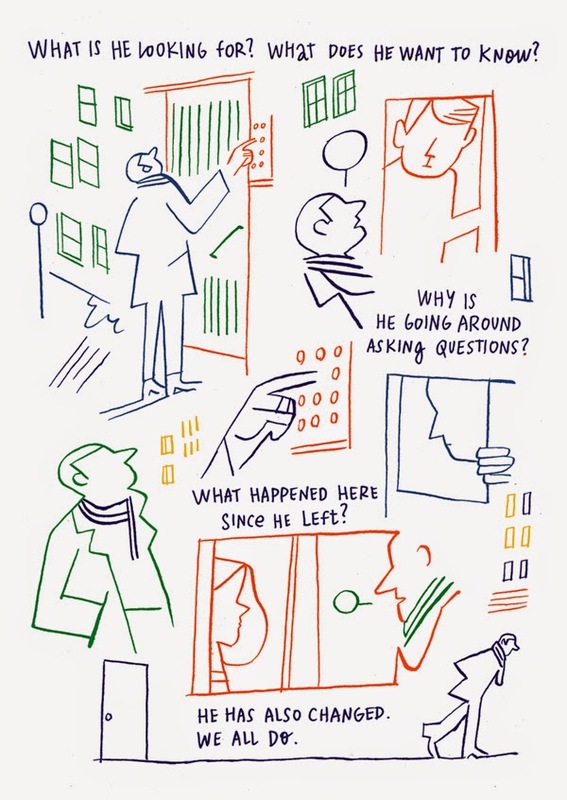 The shadow of Pessoa is evident in a lot of works and especially in Francisco Sousa Lobo’s, where the author of The Dying Draughtsman graphic novel builds the figure of Fausto M. Fernandes, a mysterious pioneer of Portuguese comics. I think this is the best work in the issue – it perfectly fits the theme of the anthology portraying a problematic person, it is poetic but down to earth, it moves questions about comics, autobiography and art’s nature. After closing the book we’ve a clearer idea of comics from Portugal – or perhaps we’ve no idea – after all how two Chilean sisters living in Lisbon (Amanda and Milena Baeza), a precarious social scientist with a captivating line (Daniel Lopes), a photographer (Tiago Casanova) and a linguistics scholar (Cátia Serrão) can create a shared style? There a lot of “lone wolves” here – as Marcos Farrajota states in his introductory essay – and maybe this is the beauty of Portuguese comics and of this art in general. 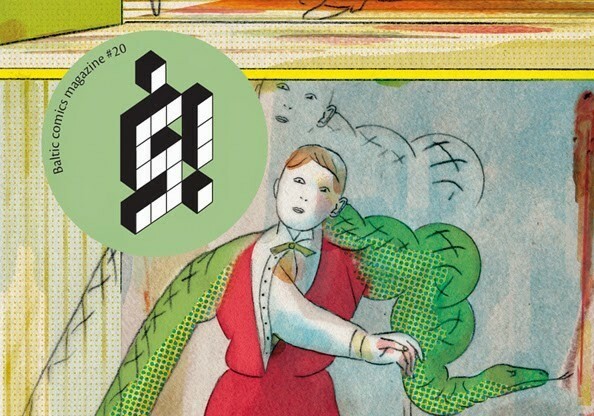 More than being a cohesive overview of a scene, this issue of š! is a dynamic history of a medium in a single country and of its struggle to come out of people’s rooms, houses and studios.